In late December after the fall semester came to a close, I traveled to the West Coast for vacation. 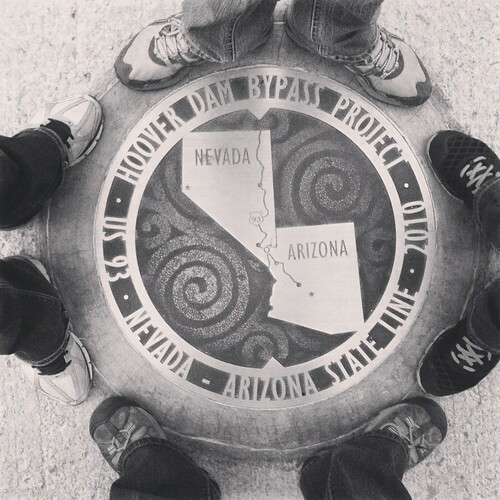 While there, I visited Southern California and Nevada. 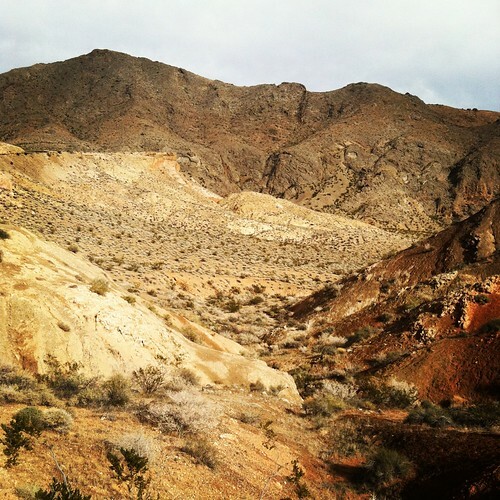 Hikes and the outside world always fascinate my family, especially where the desert hits the mountains. On this trip, we visited countless hiking trails, including ones in the Valley of Fire State Park and Lake Mead National Park in Nevada. In California, we visited Joshua Tree National Park, Thousand Palms Wildlife Refuge, and went hiking in various canyons and trails near the Salton Sea. As mentioned previously, my family has always enjoyed National/State parks, and we make it a point to visit as many as possible when we leave Pennsylvania for a trip. However, this semester was extra exciting. Because I took a class with Dr. Richard Alley (defined by Wikipedia as a “highly cited researcher” in the relationship between the Earth’s cryosphere and climate change, and also a geologist), I was interested more in the geology of the mountains, desert, and surrounding beauty of California and Nevada. Of course, to tie this in with social media, I tweeted throughout the trip and Instagrammed just about everything. You will be seeing Instagram pictures throughout this post! We flew in to Las Vegas, Nevada, and headed out from there! One of our first stops was the Valley of Fire State Park in Overton, Nevada. 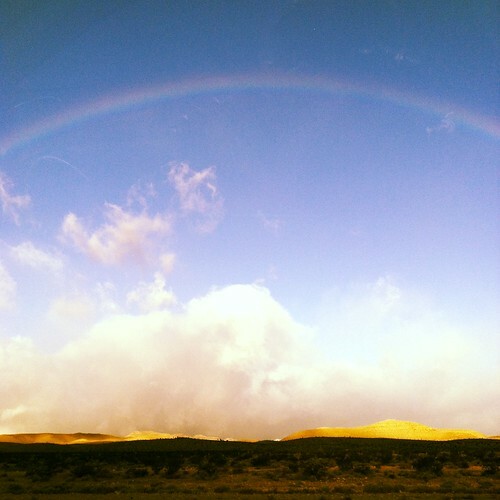 This park is Nevada’s oldest and largest State Park, but it is easily doable in a day. 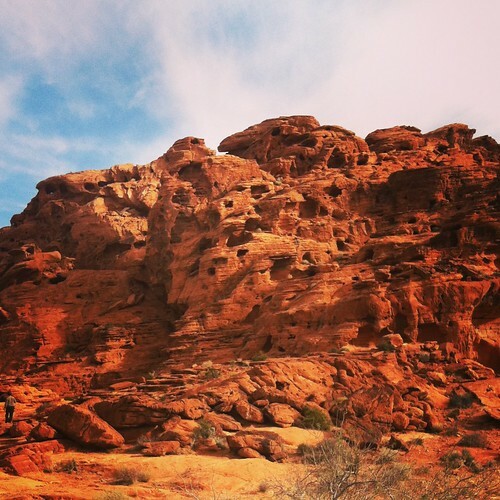 We started with the “Beehives” – red sandstone formations that look like, well, beehives. Throughout the day, we visited the “Seven Sisters”, “Arch Rock” and “Elephant Rock”, which are all red sandstone formations. The park writes that the sandstone formations are “formed from great shifting sand dunes during the age of dinosaurs , 150 million years ago.” Intense erosion has also created the interesting rock formations. 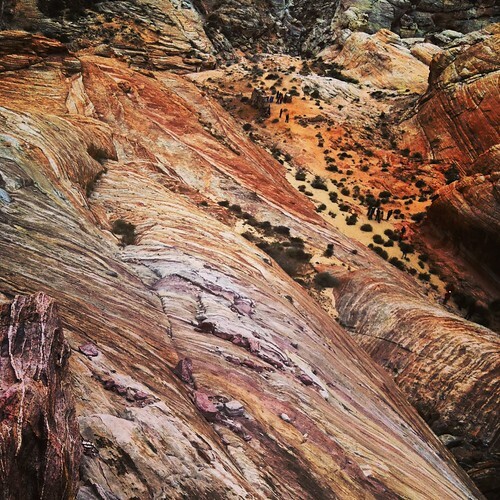 Another interesting feature of the park was the “White Domes” and “Rainbow Vista”: multi-colored sandstone canyons. So beautiful! Last but not least, the 225 million year-old petrified wood was a fascinating stop as well. Next, we drove through Lake Mead National Park to get to the Hoover Dam and visit the new bridge. Most of you probably know that the Hoover Dam is the world’s largest and also supplies a large amount of hydroelectric power to California and Nevada. Approximately 56% of its power goes to California, 25% to Nevada, and 19% to Arizona. However, the dam has had impacts on the environment. 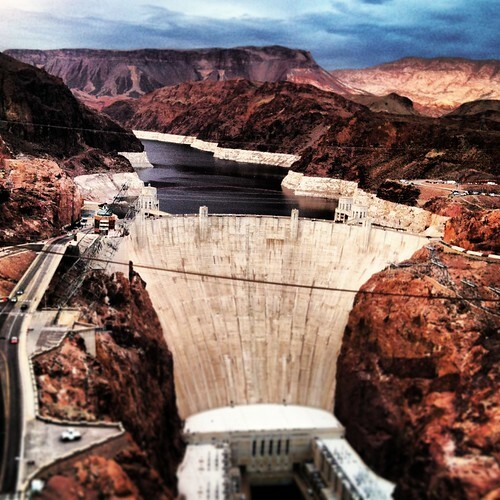 Because the Hoover Dam dams the Colorado River, Lake Mead was created. Because of the damming, the biodiversity of the river has been compromised. When a river is dammed, the nutrients and sediment are dammed as well in Lake Mead. This makes a large pile of sediment on the lake side, and dip in sediment (and nutrients) on the river side. Because of the loss in natural river organisms, 4 species of fish have become endangered. There are positive benefits as well! Farmers always have water for irrigation, and the dam creates a large amount of renewable “green” energy. For more information on this, read this Enviro-News article. After we went back to Vegas for the night, we left for California the following day. Stay tuned – California adventures are up next!